Many drivers who cause accidents expect to see an increase in their auto insurance premiums. But even those who are deemed not culpable could end up paying more for coverage, a report from a consumer group finds. The Consumer Federation of America sought online price quotes from five of the largest auto insurers in 10 cities to see what happens to premiums after drivers are in accidents. The study found that based on the quotes, drivers in New York City and Baltimore tend to pay the most after being involved in accidents that they did not cause. The penalties add to the costs of auto insurance, which is required for drivers in most states but expensive for many, said Doug Heller, the researcher who conducted the analysis for the consumer federation. “Innocent drivers who don’t cause accidents should not be charged more because someone else hit them,” J. Robert Hunter, the consumer group’s director of insurance, said in a telephone conference call this week with reporters. It is the latest in a series of reports that the federation has published on car insurance costs. The new study said that the average annual premium increase quoted drivers with a not-at-fault accident on their records ranged from $60 in Atlanta to more than $400 in Queens. The report found differences in the way insurers applied surcharges. Progressive applied surcharges to every quote except in cities where their use is prohibited by state law. Geico and Farmers sometimes raised quoted rates by 10 percent or more, while Allstate “occasionally” penalized drivers, the report found. State Farm was the only insurer tested that never increased quoted rates for drivers who had not-at-fault accidents. A State Farm representative referred a request for comment to the Insurance Information Institute, an industry trade group. Loretta Worters, a spokeswoman for the insurance group, cautioned that online rate quotes are merely a starting point. Insurers, she said, ultimately base auto policy rates on “much more information” than initially gathered through a quote requested via an insurer’s website. David Snyder, vice president of policy development and research with the Property Casualty Insurers Association of America, another trade group, dismissed the analysis as “overly simplistic.” He said the report failed to take into account that states define not-at-fault accidents differently. Some states have blanket prohibitions on such surcharges in certain situations — say, if one car is parked. Other states allow penalties, but rules for how they are assessed vary depending on the circumstances of the accident, he wrote in an email. Why do some insurers charge drivers for accidents they did notcause? Insurers say it often is not clear which driver is at fault. 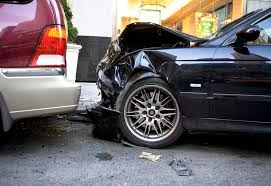 Ms. Worters said your insurer may incur costs, even if you are not at fault, as a result of “subrogation,” or the process of seeking payment from the other driver’s insurer. “Assigning fault in an accident is rarely a zero-sum process where one driver is 100 percent at fault whereas the other driver is zero percent at fault,” she said. There is “a tendency to believe the other driver is always responsible as opposed to me, when the facts may indicate otherwise,” Mr. Snyder said. How can I tell if my insurer may penalize me for not-at-fault accidents? Consumers should ask their insurers, or their insurance agents, if their policy allows for such penalties, Mr. Hunter said. If it does, you may want to seek quotes from other insurers. What is the best way to keep my auto rates affordable? Consumer advocates advise shopping around periodically. Mr. Hunter suggested clicking on a map available on the National Association of Insurance Commissioners website to find an insurance cost-comparison tool. Drivers can use the tool to see which insurers charge the lowest rates for people with similar profiles. He also suggested checking the insurers’ complaint records on the N.A.I.C. website before making a decision. The process of comparison shopping should take less than an hour, he said. 1 Response to "Is Car Accident Not Your Fault? Your Insurance May Still Go Up, Report Says"